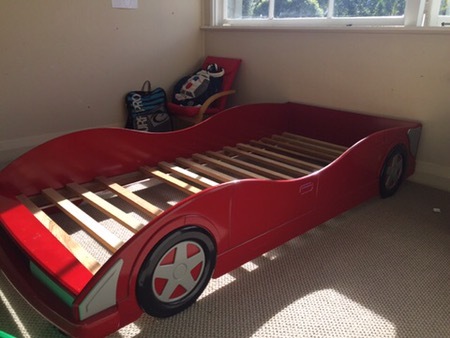 Two identical car beds for sale. Slats need a little bit of work. One slat missing from one of the beds. Mattresses not included.